I hope your week has been lovely! 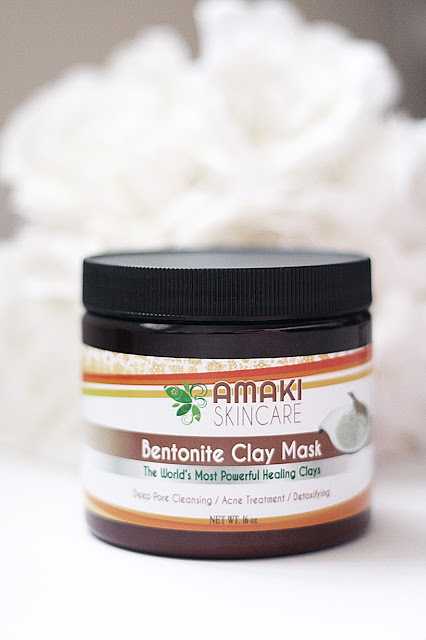 Today I have a mud mask review by Amaki Skincare, I am mask obsessed and I already own far too many for one person, so obviously I picked up another one! This mud mask is a lot different to my others as its clay and you have to mix up the mask yourself, if you want to find out how I got on then keep on reading! This product also claims to clear blackhead and pimples while reducing the size of pores. This is perfect for my skin as I have quite large pores around my nose and I am experiencing a few breakouts at the minute too! As I said earlier I don't have any masks where I have to mix the product with water to create the mask paste, I actually didn't realise when ordering this that it came in powder form and I'm not gonna lie I was a little disappointed just because I hate mess and I like my skincare routine to be pretty quick. I know some people would prefer this but I'm just not that gal! So you mix 1 part clay with 4 parts water and mix until you have a paste consistency, it took my a while to get the required formula right but once I achieved a somewhat smooth paste I applied it all over my face with my hands. I didn't use the brush or the sponge that the product comes with just because It was easier to do with my hands. Once I applied the mask it started to harden quite quickly and it felt great on my skin! I left the mask on for 15 minute and washed it off with warm water. 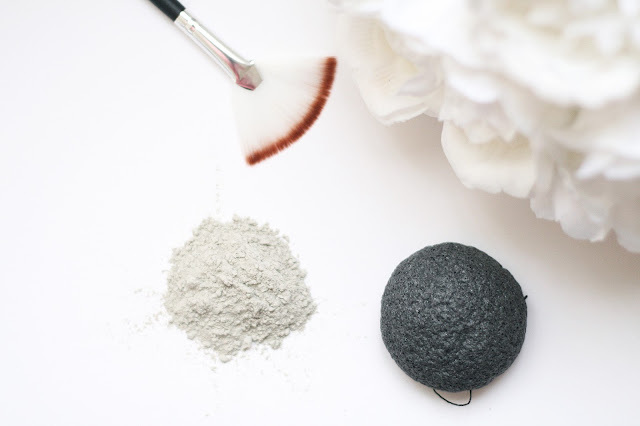 I am a big fan of clay based products for my skin as it leaves my skin feeling and looking super clean and this mask lived up to that. My skin looked refreshed and spotlessly clean. Overall I'm happy with how the mask makes my skin look and feel, I would probably only use it a couple of times a month just to give my skin a deep clean! Have you tried this mask before?